Imani's SPRING WOMEN'S HISTORY MONTH CRYSTAL,JEWELRY & TRAVEL SHOWCASE! FREE to BROWSE, but Workshop Space is limited so, GET YOUR TICKETS ASAP! 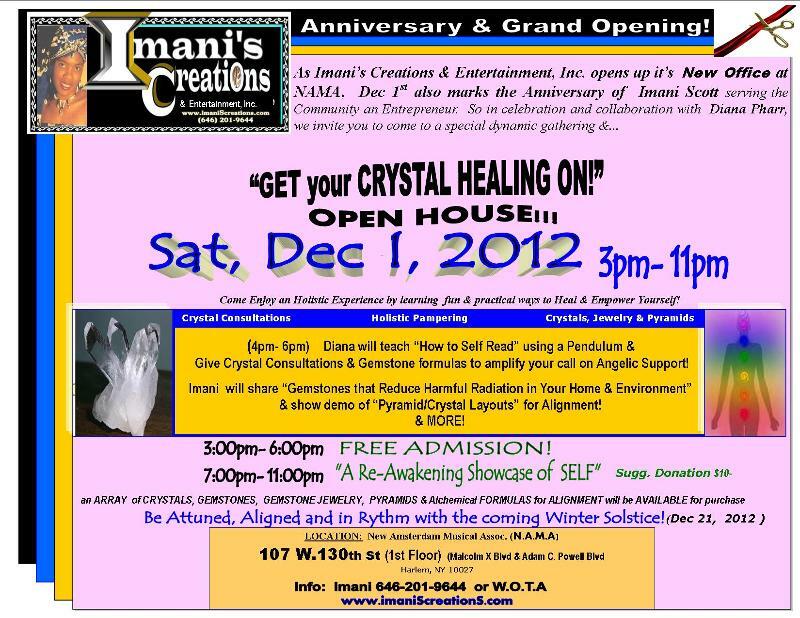 Be sure to visit the Imani's Cretions Crystal Healing Table! 4/26- Imani's invite- Dr Afrika at Nicholas BKLYN! Come visit Imani's Creations & Entertainment, Inc Holistic Display of Gemstones, Crystals, Charts, Flower Essences, Jewelry, Pyramids, Cards, Mini Chakra Readings & MORE! Please come out & support this Fundraising event for the Nicholas Book at event! store transition! Scan Flyer for details or call King Simon 347-496-1022! Sister Malikah Ali, LCSW, CHHC., will also be a featured speaker! This electrifying event will be exploding with mind blowing information, so be sure to visit Imani's Creations vendor booth with products representing our powerful Kemetic Legacy with Handmade Pyramids, Ankhs, Gemstones from Africa & also Dbl Pyramid Jewelry aka. Merkaba Stars, Star of David, Seal of Soloman, etc for in Truth we need to forge a unified agenda of Empowerment & focus less on our differences... for out the ONE Source come MANY Expressions! 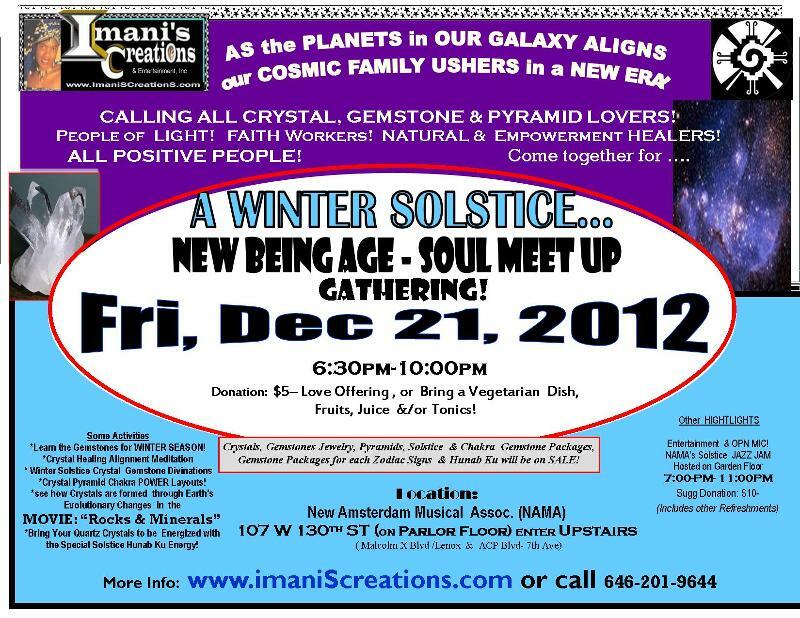 Imani speaks on 24 Hr GLOBAL WELLNESS CALL for the WINTER SOLSTICE! 12/20-21: LECTURE, TOUR & WINTER SOLSTICE Celebration! You are invited to join us for a POWERFUL WINTER SOLSTICE WEEKEND! 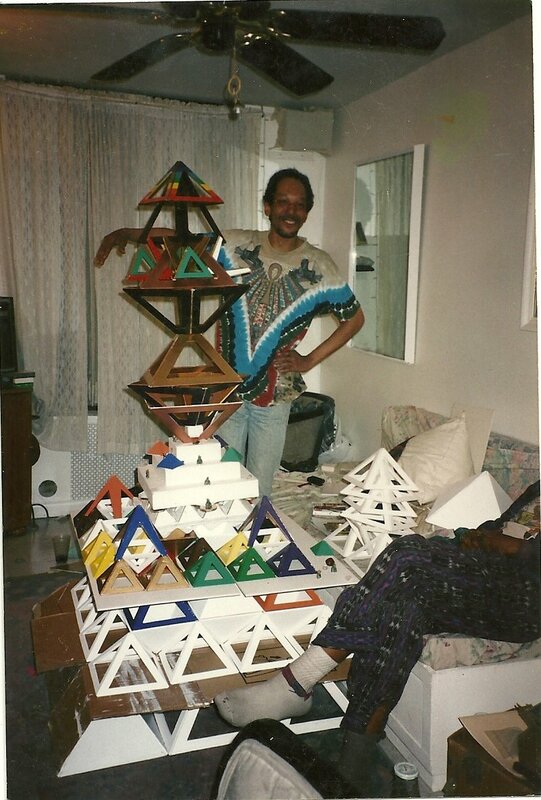 Imani's Creations Handmade PYRAMIDS, GEMSTONE JEWELRY, CRYSTALS, will be available for purchase during the Lecture event on Dec 20, 2014 from 3pm-7pm! SUNDAY, Dec 21,2014 at 2:00pm SHARP! Winter Solstice Celebration & Ceremony! On Sat, 7/12/14 Imani's Creations & Entertainment, Inc will be vending near the Schomburg Center for Research in Black Culture, New York Public Library only positive spirits and genuine loving vibes are welcomed to stop by! Sat, Dec 7- IC- Anniiv. EVENT & EXPO! the COUNT DOWN!!! COUNT- DOWN to the BIG EVENT DAY!!! 11/2 I.C vends at HOLISTIC FAIR by SOUTHERN COMFORTS! Come Enjoy a Wealth of Holistic Offerings! 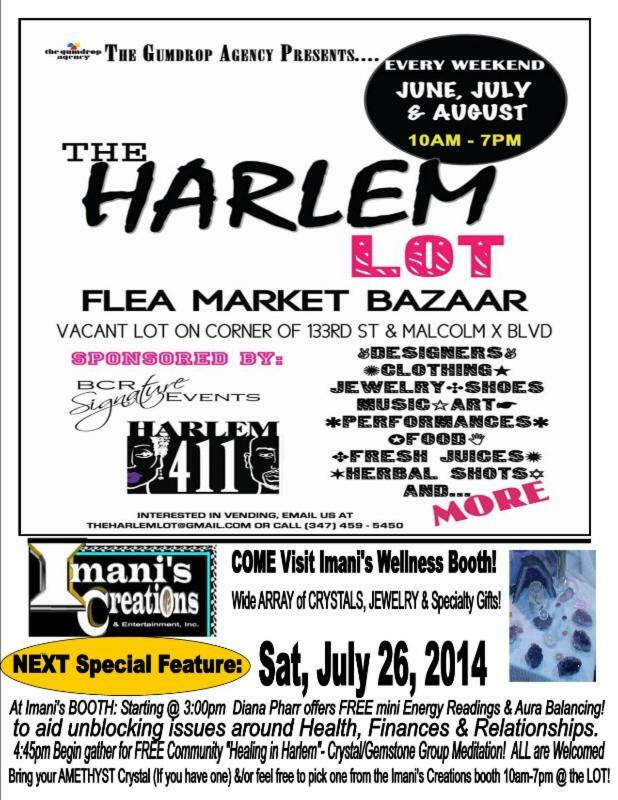 Products& Services from Imani's Creations & Entertainment, Inc. will also be Featured at thie EVENT!! 10/26- Imani's "CRYSTAL HEALING in HARLEM" Workshop/Exhibit! Imani's Creations & Entertainment, Inc invites you to attend our "CRYSTAL HEALING in HARLEM"- WORKSHOP/EXHIBIT! CHECK back for CRYSTAL WORKSHOP UPDATES on this page! PLEASE BRING, SHARE &/or TELL a FRIEND!